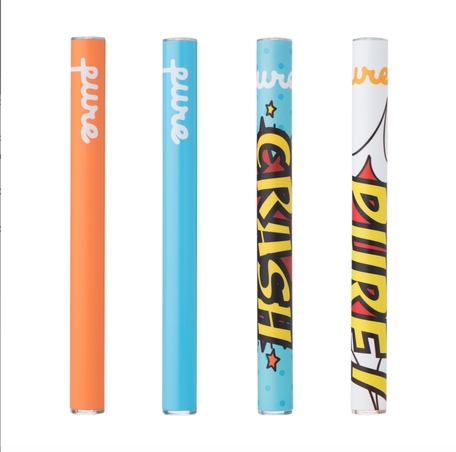 Sign Up for free to save time shopping Pure Vape's wholesale products on LeafLink. There is nothing subtle about Indica Louis XIII CO2 Cartridge, the flavor is a spicy and effects set in immediately. After few puffs of Pure Vape’s Co2 extracted THC oil the body becomes heavy and mood elated, all while melting away aches and pain. Pure solvent-free oil is the cleanest on the market and, as our lab tests results prove, some of the most potent as well. Additionally, due to our natural process, the flavor and draw from our cartridges are exceptionally smooth. Minimum order - 30 cartridges. Mix and match with other Cartridges in the line. 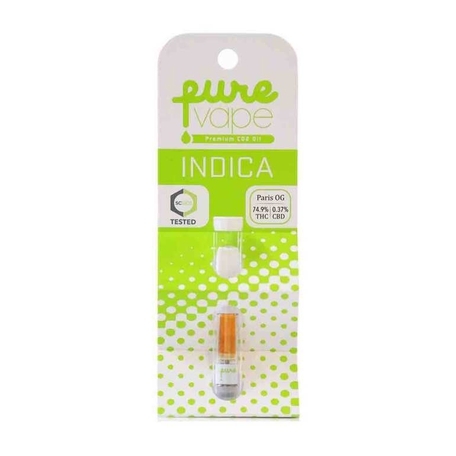 Pure Vape's Paris OG CO2 Cartridge offers a potent Indica experience that promotes restful relaxation and easy calm. With a a fruity and citrusy blend of flavor, this award winning strain is perfect for easing pain and relaxing the body and mind. Pure Vape's Indica Private Reserve CO2 Cartridge clocks in at 75.48% THC, making this Indica one of the strongest OG Kushes to be found. With its familiar scent of pinesol and citrus, this strain delivers a heavy couch-lock and physical high, pefect for nighttime use. Pure Vape's Skywalker OG CO2 Cartridge relaxes the body into a galaxy far, far away with its well-rounded Indica effects. Created through crossing Blueberry with Mazar, Skywalker's slight Sativa side allows the mind a happy buzz while it works out any pain or tension in the body. Put some pep in your step with Pure Vape’s Indica Wiz Khalifa OG CO2 Cartridge. 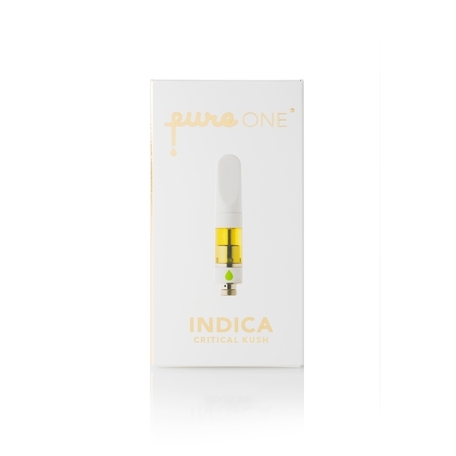 Packed with smooth flavors of sour lemon and earthy pine.The Indica effects leave your body buzzing and relaxed without feeling sedated; Leaving users cool, calm and collected. 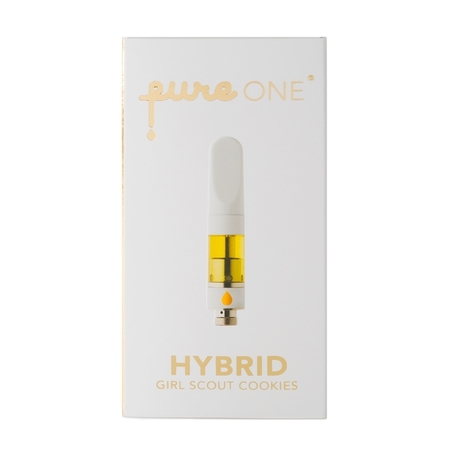 Pure Disposable contains our proprietary triple distilled, solvent-free essential cannabis oil. Using next generation vaporizing technology it provides effective relief that tastes great and lasts for over 120 puffs. Try them all and find your flavor. Try them all and find your flavor! See individual product pages to find the desired flavors near you. Universal for 510 threaded batteries. 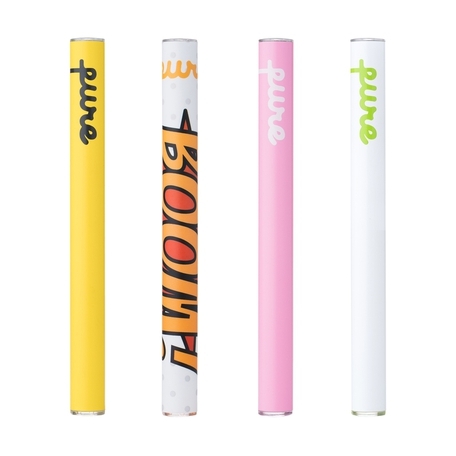 Best if used with Pure One Batteries available in 8 colors.